Our 2014 Concert under the Capitol rotunda! The enduring music of the American Songbook takes on a special meaning when performed by the dynamic Cabaret ensemble, ACT III Entertainment. The talented singers and instrumentalists deliver imaginative interpretations of this genre, whether crooning a romantic ballad or riffing on a jazz standard, it’s all done with style and taste. From the masterpieces of Broadway and film music, to Cabaret and Tin Pan Alley, this music has stood the test of time. An ensemble of polished singers backed by a piano trio reminds us of posh supper clubs and sophisticated revues in the great theater palaces of another era. 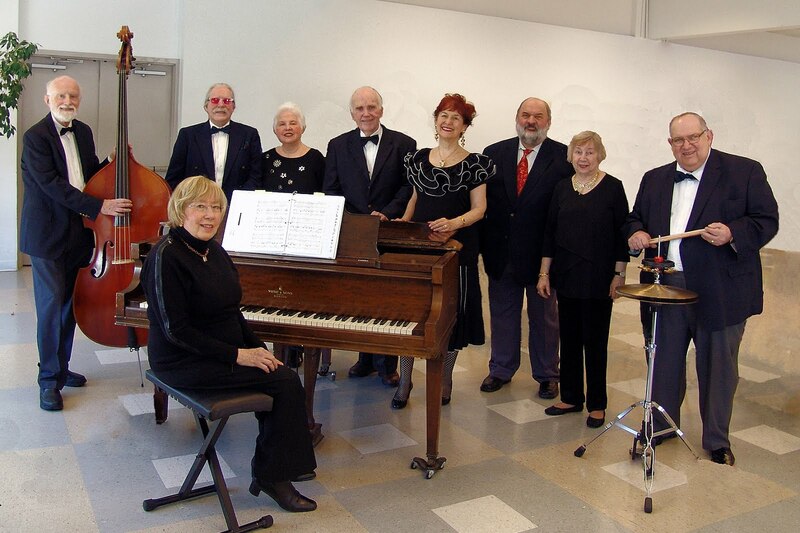 Our singers and instrumentalists create an atmosphere of immediate intimacy with audiences. Randy Shupp (bass/baritone: ranks among the most acclaimed singers in the tri-state area. An in-demand entertainer, he brings both bold power and superb sensitivity to a song. Linda Schwartz: a powerhouse of energy; you’ll be in the palm of her hand with her unforgettable personality and gift of song. Jim Bracken: a romantic tenor recalling the talent and range of Vic Damone and Al Martino. Jim is sure to make you fall in love. 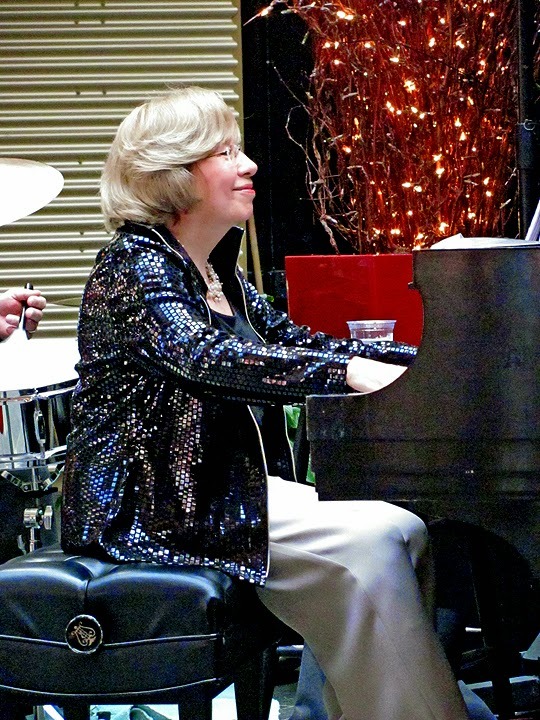 Joan Rayfield: a songstress of extraordinary artistry and expression. She grew up as a regular on the radio and still has the ‘chops’. Anita Beckett: singing Dietrich with a touch of irreverence, this charming chanteuse makes an immediate connection with the audience. Henry Mikol: a poet of the accordion. Henry will make you feel like you’re on a holiday in Paris. George Cocco (percussion)and Bill Lautenberg (bass): two sidemen who know the score and play the charts with professionalism. Selma Savitz (director/pianist): previously held the post of Director for the award-winning New Horizons Glee Club for over two decades. Entertainment stages in the Delaware Valley including Temple University, Symphony Square, Golden Slipper, Senior Centers, Religious and Civic Organizations, Clubs, etc. For more information or to book a program please call Selma Savitz at 610.664.2458 or Randy Shupp at 215.805.5777. As Chairperson of the OLLI Friday Forum and Director of the Osher Lifelong Learning Institute, we would like to take this opportunity to express our appreciation for your presentation to our members on Friday, September 29, 2017. We are well aware of all the scheduling challenges and preparation time that goes into showing up, and we thank you for that. Most importantly, we are especially grateful for your efforts on our behalf and the generous gifts of your talent. Having all of you entertain us was a real treat and a wonderful way to begin our day! Your music was joyful, dynamic and uplifting. We loved every minute of your Playing Favorites! We hope this was also a meaningful experience for you, and we look forward to having all of you with us again soon. Sister Nell's birthday on CBS! Philadelphia Inquirer, Main Line Times, Daily Times of Delaware County, City and Suburban News, Main Line Neighbors, Bala Cynwyd/Narberth Patch (on-line), and other community newspapers and newsletters issued by churches and synagogues. The Glee Club's Facebook Page!